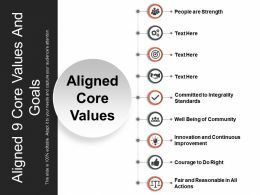 Presenting aligned 8 core values and goals powerpoint slide. This is a aligned 8 core values and goals powerpoint slide. This is a eight stage process. The stages in this process are aligned goals, aligned objectives, aligned vision. 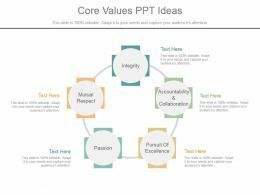 Presenting list of core values smartart diagram ppt samples download. 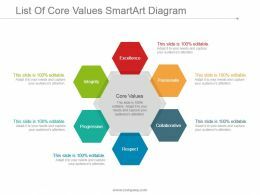 This is a list of core values smartart diagram ppt samples download. This is a six stage process. The stages in this process are excellence, passionate, collaborative, respect, progressive, integrity, core values. 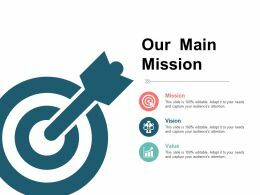 Presenting this set of slides with name - Our Main Mission Presentation Layouts Template 1. This is a three stage process. The stages in this process are Mission, Vision, Value, Business, Marketing, Icons. 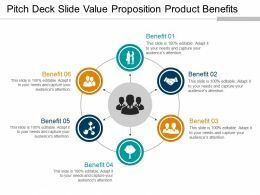 Presenting pitch deck slide value proposition product benefits 3 presentation visuals. 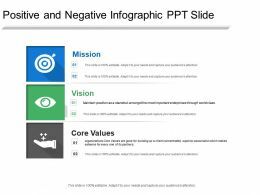 This is a pitch deck slide value proposition product benefits 3 presentation visuals. This is a six stage process. The stages in this process are pitch deck template for entrepreneurs, pitch decks. 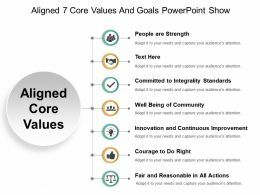 Presenting aligned 7 core values and goals powerpoint show. 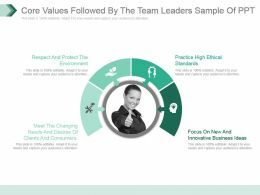 This is a aligned 7 core values and goals powerpoint show. This is a seven stage process. The stages in this process are aligned goals, aligned objectives, aligned vision. Presenting company philosophy ppt infographics. 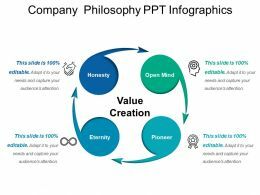 This is a company philosophy ppt infographics. This is a four stage process. The stages in this process are core values, our values, our goals, company philosophy. 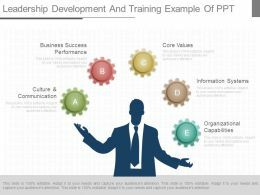 …leadership development and training example of ppt. 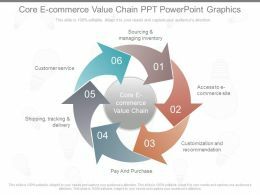 This is a leadership development and training example of ppt. This is a five stage process. 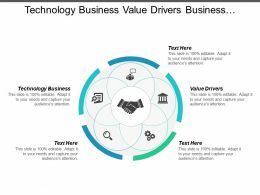 The stages in this process are culture and communication, business success performance, core values, information systems, organizational capabilities. 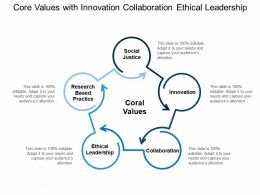 Presenting this set of slides with name - Core Values With Innovation Collaboration Ethical Leadership. This is a five stage process. The stages in this process are Core Values, Our Values, Our Goals, Company Philosophy. We are proud to present our 3d men filling colors in goal ppt graphics icons powerpoint. 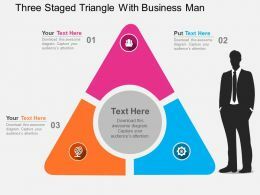 The above template displays a diagram of 3d men filling colors in word goal. Setting organizational business goals and objectives are important steps. 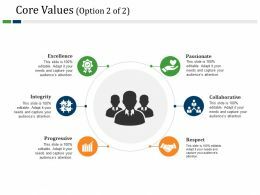 They pinpoint the core values of your organization. 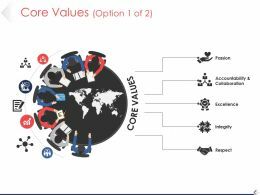 Presenting this set of slides with name - Core Values Ppt Styles Format Ideas. This is a five stage process. The stages in this process are Integrity, Pursuit Of Excellence, Passion, Mutual Respect, Business. Presenting 5 core values at work sample of ppt presentation. 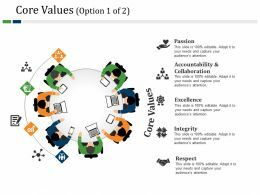 This is a 5 core values at work sample of ppt presentation. This is a five stage process. The stages in this process are core values, our values, our goals, company philosophy. 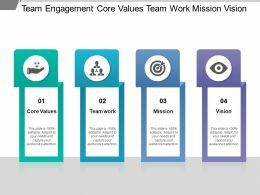 Presenting this set of slides with name - Team Engagement Core Values Team Work Mission Vision. This is a four stage process. The stages in this process are Employee Engagement, Team Engagement. 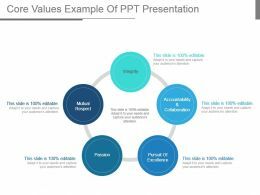 Presenting fair value accounting ppt layout ppt sample. 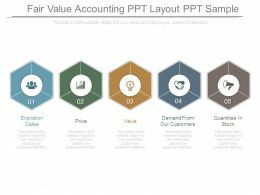 This is a fair value accounting ppt layout ppt sample. This is a five stage process. The stages in this process are expiration dates, price, value, demand from our customers, quantities in stock. Presenting this set of slides with name - Core Values With Team Work Goals Trust Responsibility. This is a eight stage process. The stages in this process are Core Values, Our Values, Our Goals, Company Philosophy. 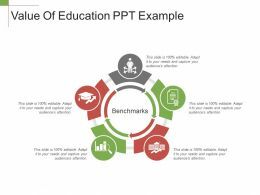 Presenting value of education ppt example. This is a value of education ppt example. This is a five stage process. The stages in this process are business, icons, marketing, strategy, process, success. 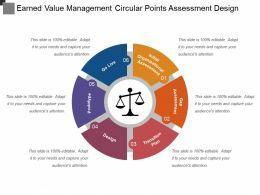 Presenting this set of slides with name - Earned Value Management Circular Points Assessment Design. This is a six stage process. 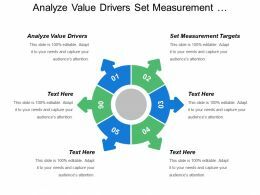 The stages in this process are Earned Value Management, Gained Value Management, Earned Value Performance Management. 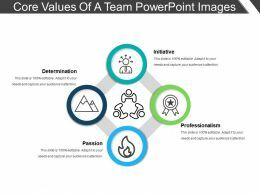 Presenting core values of a team powerpoint images. This is a core values of a team powerpoint images. This is a four stage process. The stages in this process are core values, our values, our goals, company philosophy. 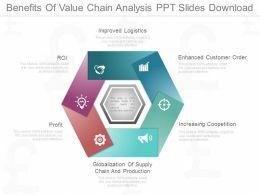 Presenting brand value presentation powerpoint example. 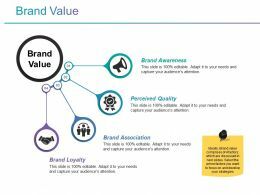 This is a brand value presentation powerpoint example. This is a four stage process. The stages in this process are brand awareness, perceived quality, brand association, brand loyalty, business, icons. 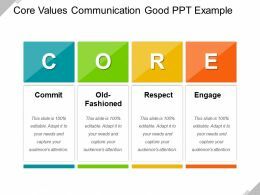 Presenting core values communication good ppt example. 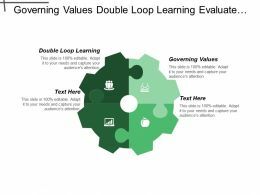 This is a core values communication good ppt example. This is a four stage process. The stages in this process are core values, our values, our goals, company philosophy. 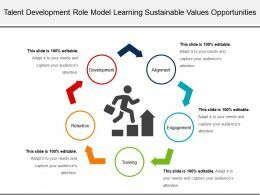 Presenting this set of slides with name - Talent Development Role Model Learning Sustainable Values Opportunities. This is a five stage process. The stages in this process are Talent Development, Talent Management, Talent Retention. 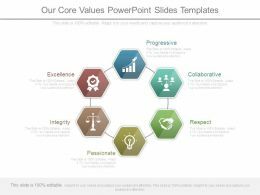 Presenting our core values powerpoint slides templates. 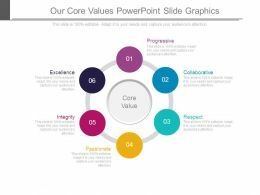 This is a our core values powerpoint slides templates. This is a six stage process. The stages in this process are progressive, collaborative, respect, passionate, integrity, excellence. 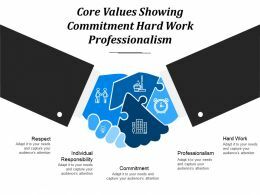 Presenting this set of slides with name - Core Values Showing Commitment Hard Work Professionalism. This is a two stage process. The stages in this process are Core Values, Our Values, Our Goals, Company Philosophy. 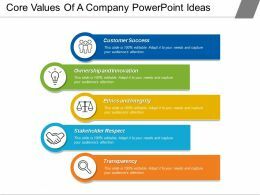 Presenting core values of a company powerpoint ideas. This is a core values of a company powerpoint ideas. This is a five stage process. The stages in this process are core values, our values, our goals, company philosophy. 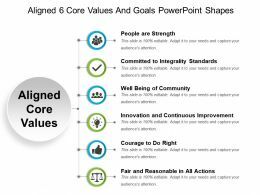 Presenting aligned 6 core values and goals powerpoint shapes. 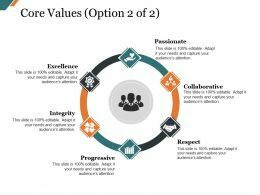 This is a aligned 6 core values and goals powerpoint shapes. This is a six stage process. The stages in this process are aligned goals, aligned objectives, aligned vision. 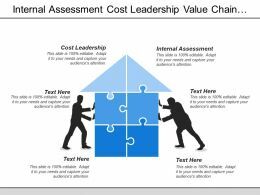 Presenting core values assessment sample ppt presentation. 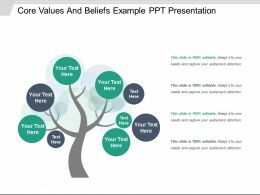 This is a core values assessment sample ppt presentation. This is a five stage process. The stages in this process are core values, our values, our goals, company philosophy. Presenting 3 core values at work sample of ppt. 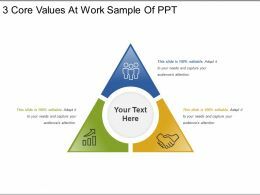 This is a 3 core values at work sample of ppt. This is a three stage process. The stages in this process are core values, our values, our goals, company philosophy. 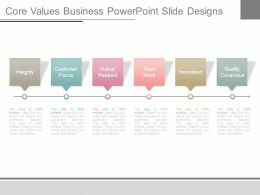 Presenting core values of business powerpoint layout. 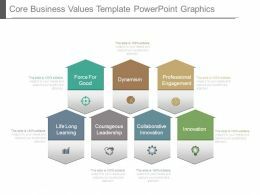 This is a core values of business powerpoint layout. This is a one stage process. The stages in this process are core values, our values, our goals, company philosophy. 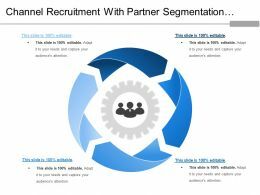 Presenting this set of slides with name - Channel Recruitment With Partner Segmentation Profiling Value Proposition. This is a four stage process. The stages in this process are Channel Partner, Partner Relationship Management, Co Branding Relationship. 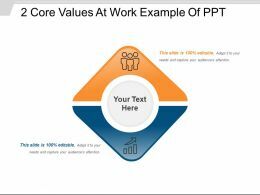 Presenting 2 core values at work example of ppt. 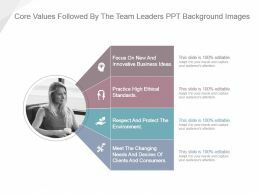 This is a 2 core values at work example of ppt. This is a two stage process. The stages in this process are core values, our values, our goals, company philosophy. 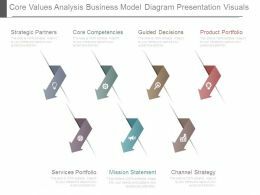 Presenting 3 triangles for business values and goals sample of ppt. 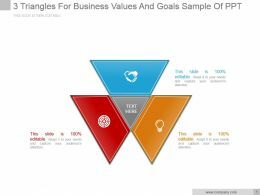 This is a 3 triangles for business values and goals sample of ppt. This is a three stage process. The stages in this process are business, marketing, icons, process, strategy. 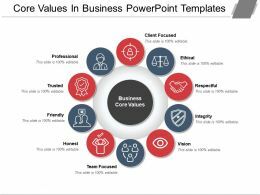 Presenting core values in business powerpoint templates. 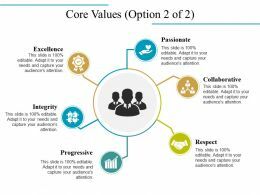 This is a core values in business powerpoint templates. This is a tenstage process. The stages in this process are core values, our values, our goals, company philosophy. 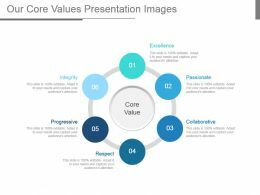 Presenting core values powerpoint slide backgrounds template 1. This is a core values powerpoint slide backgrounds template 1. This is a seven stage process. The stages in this process are core values, passion, excellence, integrity, respect. 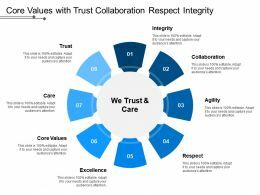 Presenting this set of slides with name - Core Values With Trust Collaboration Respect Integrity. This is a eight stage process. The stages in this process are Core Values, Our Values, Our Goals, Company Philosophy. 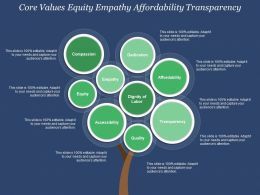 Presenting this set of slides with name - Core Values Equity Empathy Affordability Transparency. This is a nine stage process. The stages in this process are Core Values, Our Values, Our Goals, Company Philosophy. 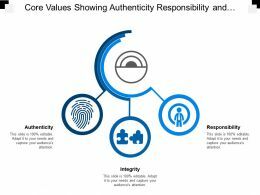 Presenting this set of slides with name - Core Values Showing Authenticity Responsibility And Integrity. This is a three stage process. The stages in this process are Core Values, Our Values, Our Goals, Company Philosophy. 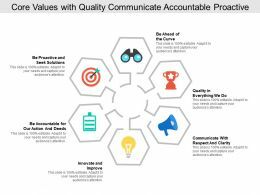 Presenting this set of slides with name - Core Values With Quality Communicate Accountable Proactive. This is a six stage process. The stages in this process are Core Values, Our Values, Our Goals, Company Philosophy. Presenting our core values powerpoint slide graphics. This is a our core values powerpoint slide graphics. This is six stage process. The stages in this process are progressive, collaborative, respect, passionate, integrity, excellence. 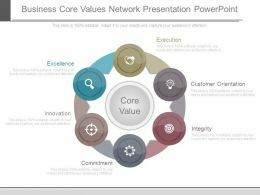 Presenting business core values network presentation powerpoint. 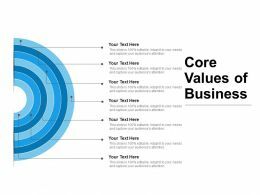 This is a business core values network presentation powerpoint. This is a six stage process. The stages in this process are customer orientation, execution, integrity, commitment, innovation, excellence. 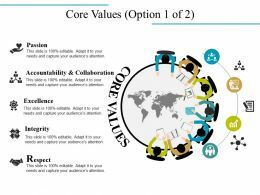 Presenting core values powerpoint slide clipart template 1. 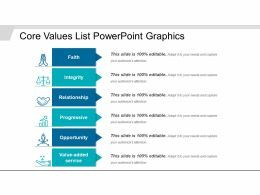 This is a core values powerpoint slide clipart template 1. This is a six stage process. The stages in this process are passionate, collaborative, respect, progressive, integrity, excellence. 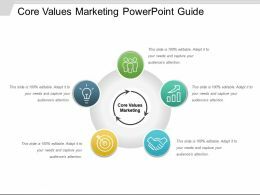 Presenting core values business powerpoint slide designs. This is a core values business powerpoint slide designs. This is a six stage process. The stages in this process are integrity, customer focus, mutual respect, teamwork, innovation, quality conscious. 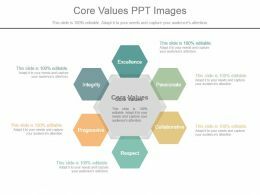 Presenting core values example of ppt presentation. 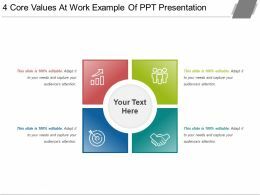 This is a core values example of ppt presentation. This is a five stage process. The stages in this process are integrity, accountability and collaboration, pursuit of excellence, passion, mutual, respect. 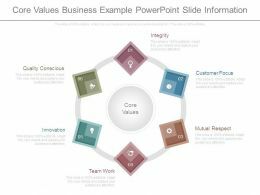 Presenting core values business example powerpoint slide information. 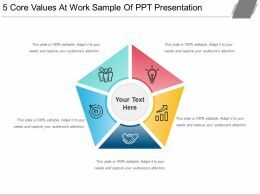 This is a core values business example powerpoint slide information. This is a six stage process. 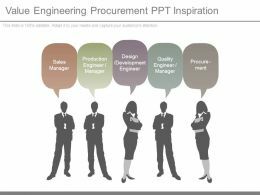 The stages in this process are integrity, customer focus, mutual respect, team work, innovation, quality conscious, core values. 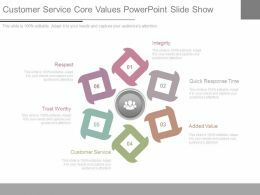 Presenting customer service core values powerpoint slide show. 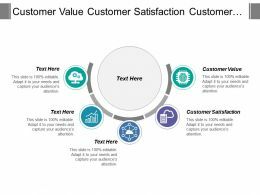 This is a customer service core values powerpoint slide show. This is a six stage process. The stages in this process are integrity, quick response time, added value, customer service, trust worthy, respect. 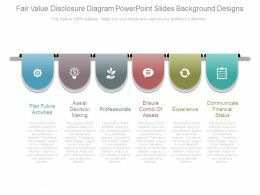 Presenting this set of slides with name - Core Values Powerpoint Slide Background Designs. This is a six stage process. The stages in this process are Excellence, Integrity, Progressive, Passionate, Collaborative, Respect. 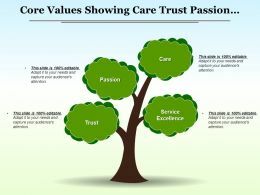 Presenting this set of slides with name - Core Values Showing Care Trust Passion Service Excellence. This is a four stage process. The stages in this process are Core Values, Our Values, Our Goals, Company Philosophy. 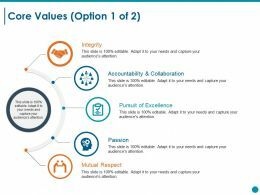 Presenting this set of slides with name - Core Values With Passion Ownership Work Life Balance. This is a five stage process. The stages in this process are Core Values, Our Values, Our Goals, Company Philosophy. 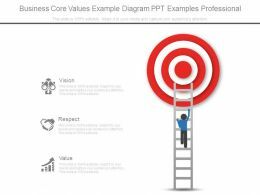 Presenting business core values example diagram ppt examples professional. 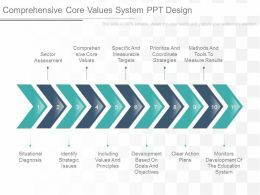 This is a business core values example diagram ppt examples professional. This is a one stage process. The stages in this process are vision, respect, value. 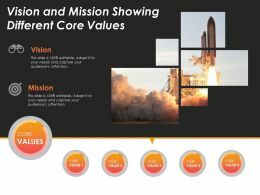 Presenting core values for strategy success powerpoint slide images. This is a core values for strategy success powerpoint slide images. This is a six stage process. The stages in this process are excellence, passionate, collaborative, respect, progressive, integrity. 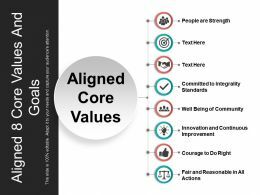 Presenting aligned 9 core values and goals powerpoint slide background. 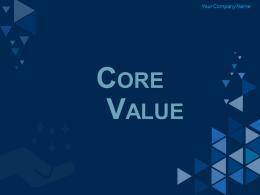 This is a aligned 9 core values and goals powerpoint slide background. This is a nine stage process. The stages in this process are aligned goals, aligned objectives, aligned vision. 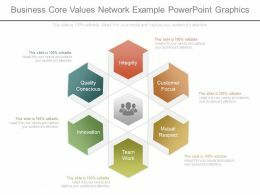 Presenting business core values network example ppt background images. 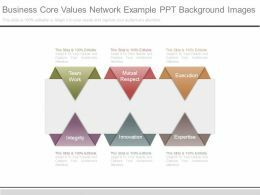 This is a business core values network example ppt background images. This is a six stage process. The stages in this process are team work, mutual respect, execution, integrity, innovation, expertise. Presenting 4 core values at work example of ppt presentation. 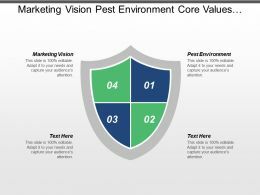 This is a 4 core values at work example of ppt presentation. This is a four stage process. The stages in this process are core values, our values, our goals, company philosophy. 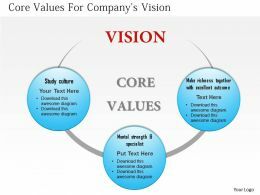 Presenting list of six core values at work place ppt design. 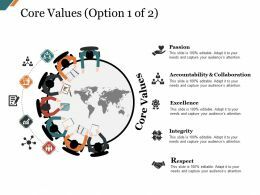 This is a list of six core values at work place ppt design. This is a six stage process. The stages in this process are excellence, passionate, collaborative, respect, progressive, integrity, core values. 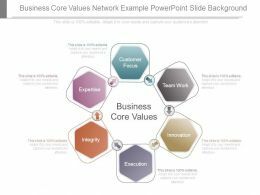 …business core values network example powerpoint slide background. 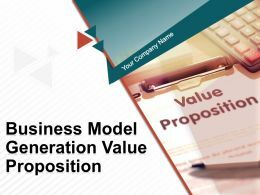 This is a business core values network example powerpoint slide background. This is a six stage process. 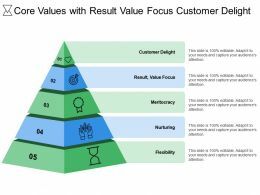 The stages in this process are customer focus, teamwork, innovation, execution, integrity, expertise, business core values. 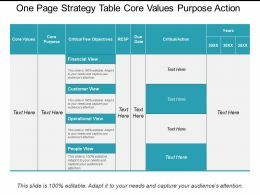 Presenting one page strategy table core values purpose action. 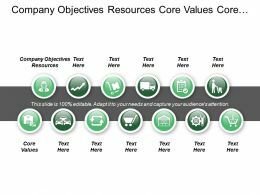 This is a one page strategy table core values purpose action. This is a two stage process. The stages in this process are one page strategy, one page plan, one page idea. 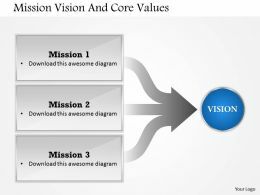 Presenting app business core values and mission template ppt sample. 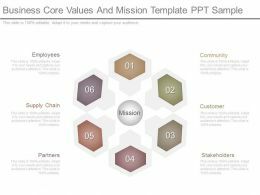 This is a business core values and mission template ppt sample. This is a six stage process. 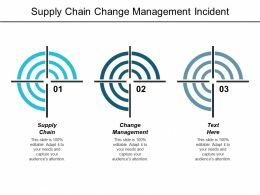 The stages in this process are employees, supply chain, partners, community, customer, stakeholders, mission. 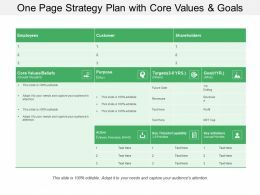 Presenting this set of slides with name - One Page Strategy Plan With Core Values And Goals. This is a three stage process. 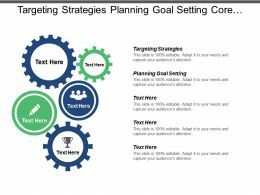 The stages in this process are One Page Strategy, One Page Plan, One Page Approach. 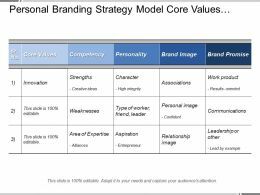 Presenting this set of slides with name - Personal Branding Strategy Model Core Values Competencies And Personality. This is a five stage process. The stages in this process are Personal Branding, Self Introduction, Self Marketing. 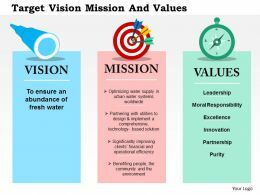 Presenting this set of slides with name - Vision Mission And Core Values Strategic Management Graphic. This is a three stage process. The stages in this process are Vision And Mission Strategic Management, Goals And Objectives, Aims And Objectives.